The rotten egg smell of the ostrich egg post  brought back memories of lake Magadi and its malodourous beauty. After a few months in Kenya we got to know a few people interested in nature and we connected with them immediately. 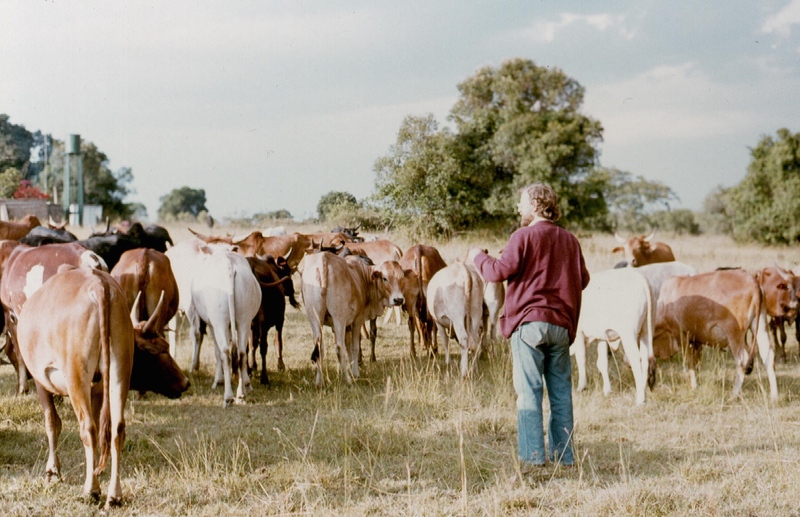 Most were working around Nairobi (Kenya Agriculture Research Institute, Muguga and the International Laboratory for Research in Animal Diseases, Kabete). We were all agriculture or livestock specialists that shared an interest in nature. A sunny Sunday we were invited to a day trip to lake Magadi. We knew nothing about the place so, after some enquiries, we learnt that it would be a picnic at the lake and that bird watching would be high in the agenda. We had not done any bird watching as such in our lives so we lacked binoculars, bird books, etc. but we accepted so we could start learning new ways. At the time we did not know it but, after this first expedition, we visited the lake frequently. It was an ideal one-day outing from Nairobi in view of the relative short distance from Nairobi(106km), the picturesque nature of the journey and the wildlife that could be seen both en route and at the lake itself. Lake Magadi, nested at 580m of altitude is close to Lake Natron in Tanzania and it is located in a volcanic rock fracture in the Rift Valley, itself a gigantic fault that runs for about 6,000km from Lebanon in the North to Mozambique in the South. The Great Rift Valley. By USGS (http://pubs.usgs.gov/gip/dynamic/East_Africa.html) [Public domain], via Wikimedia Commons. We left Nairobi early following the lake road that skirted the Ngong hills, a true landmark where Karen Blixen’s farm was located (now her homestead is a museum). The moment you had the Ngong hills on your right, the immensity of the Rift Valley opened up in front of you. A rugged succession of hazy mountains gradually took your eyes to the bottom of the valley and, on a clear day, the amazing view of Kilimanjaro with its snow in the equator will frame the postcard vista. The spectacular view of the Rift Valley from the Ngong hills. From there you started a descent that traversed Maasai country while getting increasingly dry and hot. Manyattas peppered the area and encounters with Maasai going or coming from watering points with their cattle were a common occurrence. I recall our friend Paul -later on- saying that the road would made an ideal cycling trip because of its downhill trajectory towards the lake. Maasai and their cattle, frequently found on the Magadi road. A few km before arriving to the lake, Tony, one of our friends, stopped the car for a bit of exploring. Apparently, during an early visit, they had “discovered” some fossilized elephant remains that he wished to show us. Some of us followed him looking for the bones while others spotted some interesting bird and immediately forgot everything else and focused on the feathered creatures. This was my introduction to the rather focused birdwatchers ethnic group! While some of us looked for the elephant bones, the bird-watching crowd looked at… birds. We did found the elephant bones. I thought they were rather disappointing but kept the opinion to myself! The stop was good to drink lots of water as the temperature was now well above 30oC and we were still quite a distance from the bottom of the valley and it was not yet lunchtime. Although some of our co-travellers had iced cold water (freezing the jerry cans prior to the journey) we drank ours at ambient temperature (no coolbox yet in that trip!). This became our normal water temperature while on safari, as it would give us independence from fridges and ice. We continued our trip and, suddenly and surprisingly, we viewed a large flat pink expanse below us. We were looking at the lake and, as it was the dry season, it was almost totally covered in white and pink soda. Subsequent visits during wetter times showed a much “lake-like” lake, despite the scarcity of its yearly rains, an average of 470 mm per year . During this time, a thin (less than 1m) layer of brine covers much of the saline pan, but this evaporates rapidly leaving a vast expanse of white and pink salt that cracks to produce large polygons. The lake after the rains. The crusts after the rains. We came to the entrance gate already hot and smelling the strong sulfur gases that emanated from the lake and that would be a constant whenever we visited it. The gate was in fact the entrance to the Magadi Soda Company where we registered our arrival. Further on we also re-registered our intended route at the Magadi Police station, a mandatory requirement in case you got lost (we have to pass by again on the way out for our names to be stricken off the register so that a search party was not sent for us). The lake is saline and alcaline and covers around 100 km2 being in reality a pan. The water precipitates vast quantities of trona (soda ash, also known as sodium carbonate) to a depth of up to 40m. From these large deposits the soda ash is extracted and used mainly in glass-making, chemicals, paper, detergents, and textiles. The Magadi Soda Company (now part of the Tata company) was created in 1911 to exploit this wealth. Luckily for the company, the trona deposits are recharged mainly by saline hot springs that reach temperatures of up to 86 °C and their exploitation -at least during the early days- did not have a significant impact on these deposits. During our times in Kenya the soda ash was being carried by railway to Kilindini harbour in the Indian Ocean from where it would get exported. Only once we found a train leaving the Malawi Soda facility. The plan of our first trip was to do the “trip around the lake” that started crossing the first causeway with open water and then follow the road until we entered some bush cross-country driving to rejoin the road and return to Magadi town again. A basic map of Lake Magadi showing in blue the trip around the lake. It was during this part of the journey that we came up to our firs giraffe carcass, blocking the way. Its cause of death unknown but already as dried as biltong! Lake Magadi hosts a great variety of water birds, including flamingoes, yellow-billed storks, different egrets and herons as well as smaller ones, including the interesting avocets. See  for some of the birds that can be found there. I do not recall whether we saw the Chesnut-banded Sandplover or Magadi Plover (Charadrius pallidus venustus), restricted to almost only lakes Natron and Magadi but our friends probably did. If not very spectacular, it was a rather unique little bird that we spotted in subsequent visits. A pair of Yellow-billed storks fishing in lake Magadi. Apart from birds the lake and surrounding area is also home to Wildebeests, Somali Ostriches, Beisa Oryx, Zebra, Grant’s gazelles, Gerenuks and of course Giraffes among other species of herbivores and browsers. But these are not the only interesting animals that inhabit the rather inhospitable lake Magadi! In its hot springs some special fish find their living despite the high temperature and salinity of the water! Alcolapia grahami a species of the Cichlidae family has adapted to live in this rather harsh environment. It is not the only case as another three species inhabit Lake Natron a few km to the south in Tanzania: Alcolapia alcalica; A. latilabris; and A. ndalalani. Of interest is that there is no overlapping among the species present in each lake. The Alcolapia grahami in the hot springs. The now vulnerable A. grahami, most commonly seen in the southern shoreline hot spring pools where the water temperature is less than 45°C, have developed the ability of excreting urea instead of the usual ammonia of the teleost fish as they are not able to diffuse ammonium into such an alkaline media. As they feed on cyanobacteria of high N2 content, this is -apparently- important. They also have the greatest metabolic performance ever recorded in a fish, in the basal range of a small mammal of comparable size . They are also an important indicator organism for global warming. Coming back to our trip, after our stop for Police registration, we moved on and passed by the company’s brown golf course. It was interesting to see golfers moving about on a brown and grassless course where the holes were places with “browns” and a few dust devils thrown in as well! Since its establishment in 1931 this unique 9-hole course where you drive over donkeys and cows. It does not charge fees and it is open year round! Maasai boys driving their sheep and goats through one of the lake’s causeways. It soon became clear that day that lake Magadi is one of the hottest and least hospitable places on earth. The water is undrinkable for humans and animals quench their thirst at selected areas where salt contents are low. We soon run out of water but, luckily, we found a water trough for cattle use on our way back from where we replenish our water and had a badly needed and refreshing wash! Stopping for the water trough. Without thinking, our friend had given him a glass of water from the frozen water can and the poor man, clearly used to drink water 40 degrees warmer, could not take it! After a few seconds he burst out laughing at the event while water at ambient temperature was supplied to him. This time he enjoyed it and he stayed with us for the rest of the picnic, sharing our food. After our welcomed encounter with the cattle trough it was time to return to Nairobi. The heat had been intense and we felt really “desiccated” so it was with great relief that we took the road back that now climbed to the coolness of Nairobi where we arrived after night fall. It was the introduction to one of our favourite weekend outings during the several years we spent in Kenya. Resident birds: Lesser Flamingo, Greater Flamingo, Chestnut-banded Plover, Speckled Pigeon, Eastern Violet-backed Sunbird, Somali Golden-breasted Bunting, Cut-throat Finch, African Mourning Dove, Red-billed Firefinch, Red-billed Quelea, Yellow-spotted Petronia, Chestnut Sparrow, Yellow-billed Oxpecker, Slate-coloured Boubou and Blue-naped Mousebird. Fischer’s Sparrowlark, Chestnut-bellied Sandgrouse and Greycapped Sociable-weaver. Visitors; Black-winged Stilt, Little Stint, Little Egret, Grey-headed Gulls, Yellow-billed Stork, Cape Teal, African Spoonbill, Kittlitz’s and Spur-winged Plover, Curlew Sandpiper, Common Greenshank and Pied Avocet. Wood, C. M. et al. Mammalian metabolic rates in the hottest fish on earth. Sci. Rep. 6, 26990; doi: 10.1038/srep26990 (2016). “Cold, cold, very cold” (In KiSwahili). Three-banded courser. Credit John Gerrard Keulemans [Public domain], via Wikimedia Commons. It was also a special place for another reason. It was my first camping experience in Kenya. It happened over a weekend with Muguga House colleagues Richard and Phillip. Of the outing I recall that we departed on a Saturday to return the following day. We left rather late as Richard had lots of work to do to keep the tsetse parasitoids in his lab going. A late departure meant that we could not enter the park that day and needed to camp outside the gate. As I had no tent and only a borrowed camp bed, I slept “al fresco” as it was -I was told- a very arid and dry area. I still recall the thousand of honking flamingoes flying overhead throughout the late afternoon and well into the night. Luckily I woke up with the first raindrops and before getting soaked -together with my bedding- I managed to enter Richard’s car. After a while I realized that it was going to be a tough night. The location of the hand brake made sleeping across the front seats of a packed Toyota Corolla impossible. I slept in a seated position and the following day I was very tired and with a few aches. Despite my condition, the few hours we spent there were enough to appreciate the beauty of the place and to remember to come back. Lake Bogoria is a volcanic lake framed by green-blue hills. Its waters are greenish saline (up to 100 g/L total dissolved salts) and alkaline (pH:10.5). It lies in the Kenyan portion of the Rift Valley, south of Lake Baringo and a little south of the equator. It is a rather shallow body of water that is no deeper than 10m of depth. This rather small lake of 34km long by 3.5km wide has been protected since 1973. Lake Bogoria’s beauty is already evident at first sight! After climbing one of the several red hills you need to negotiate to get there through the Emsos gate a misty dark green body of water framed by pink startles you at first until you realize that the pink borders are tens of thousands oflesser flamingoes (Phoenicoparrus minor) with a smaller number of greater ones (Phoenicopterus roseus). The first view of Lake Bogoria. While greater flamingoes feed on invertebrates, mollusks and tiny fish, l and insect lesser flamingoes feed primarily on Spirulina algae which grow only in very alkaline lakes. Although blue-green in colour, the algae contain the photosynthetic pigments that give the birds their pink colour. Their deep bill is specialized for filtering tiny food items. A view from the eastern shore. These birds were part of the largest world population of flamingoes that migrated among several of the Rift Valley lakes such as Natron, Magadi, Nakuru, Elmenteita and Bogoria. For some reason, the latter is one of their preferred stopping places. At the time the flamingoes seemed to commute mainly between Bogoria and Nakuru although their breeding took place mainly on the caustic lake Natron in northern Tanzania. A few months after my first safari and following my wife’s arrival lake Bogoria was one of the first places we visited once we got our VW kombi and some camping gear. At first we camped at the Acacia campsite on the southwest shore but soon we realized that either camping at the Loburu hotsprings on the western shore or at the Fig tree campsite in the southeast were nicer alternatives. Loburu hotsprings with immature lesser flamingoes in the background. The southern end of the lake is almost separate from the remaining body of water towards the north but for a small channel in the eastern section. It is in this area that large numbers of flamingoes were often spotted. It was a photographer’s paradise and I still remember a friend’s great idea of taking pictures of the birds in full moon only to arrive at the lake when there was a full eclipse! Although staying near the Loburu hot springs added a few extra degrees l to an already high temperature, the various steam jets and hot water rivulets around camp contributed to make it an interesting and misty place. Although walking among the hot springs was hazardous, it was quite an experience and its water greatly facilitated the needed camping dish washing! The springs are quite powerful and they create short streams that feed the lake and some had formed cones while others gave raise to small pools, some over two metres deep and very hot as the temperature of the springs varies between 39 and 98.5 °C . Unfortunately, instances of severe burning of campers falling in had occurred by the time we got there! Our favourite camping ground was the Fig tree camp, a very shady area under a patch of magnificent fig trees that provided the necessary thick shade. The camp was traversed by a clear stream coming down from the Siracho escarpment just above the area. We sometimes drank from it in cases of need as a good friend assured us that it was clean water. It did taste great but a few years later we were in for a surprise: we discovered that higher up in the hills it went through a local village! We spent many cool nights under the trees but there was one exception that, apart from cool it was “entertaining”. Unknown to us the rather large resident baboon troop had decided to spend the night up the fig trees above us! This had probably happened during earlier stays and it had gone unnoticed. The night in question, at about midnight, all hell broke loose as something seriously scared the baboons, possibly a leopard although we never saw it. We only suffered the consequences. It seemed that the entire troop was above us! Their fright caused a number of them to violently empty their bowels and bladders. I leave the results of this barrage to your imagination! I will only tell you that the aftermath was a smelly night and lots of washing of our camp, including the car windscreen the following morning! There must have been lots of baboons! After that experience we learnt to sacrifice some shade to avoid a repeat of this situation! During the earlier visits to lake Bogoria it was still possible to drive all around the lake and we did this a couple of times before the road collapsed. The most memorable of these round the lake tours took place with our friends from Uruguay Nazar and Aurora when we drove north from the Fig tree camp and we could slide the kombi door open to really enjoy the view. The drive was special as it offered great views of greater kudus that used to dwell on the eastern area of the lake where they could browse to their liking. Going round the lake would also enable you to see many of the more hidden hot springs as well as the some of the special features such as the Kesubo Swamp to the north. However, the geysers and hot springs along the bank of the lake were, apart from the flamingoes, the most interesting features. Kesubo Swamp to the north of the lake. Unfortunately in recent years the population in the two key east African lakes, Nakuru and Bogoria, have been adversely affected by suspected heavy metal poisoning, while its primary African breeding area in Lake Natron is currently under threat by a proposed soda ash plant. So, despite still being the most numerous species of flamingo, lesser flamingoes are classified as near threatened due to its declining population and the low number of breeding sites, some of which are threatened by human activities. By 1985 we had saved enough money to be able to buy a new vehicle. At the time in Kenya –and in Africa in general- the only car to buy was a “Simba” (lion in kiSwahili) for its lion logo: a Peugeot 504. We agreed with our friend Paul that we both will order similar cars to get a discount that we did not in the end! For some reason his arrived first and it was a very excited Paul that turned up that Friday afternoon in his Simba with exactly 34 km on the clock to invite us to a safari to the Sasumua dam for the following day. This dam, located on the Sasumua stream, supplied water to Nairobi and it had been stocked with rainbow trout during the colonial times. Some very large trout were still being caught, although rarely at the time. However, Paul did not lose hope of landing one of them . The dam was located in the South Kinangop highlands where the scarcity of oxygen and the almost constant drizzle seemed to combine to lower the ambient temperature to almost unacceptable levels for us. It was, however, ideal weather for people of Northern Europe and Paul, being British did not mind it! My wife and I were not very keen on trout fishing but Paul explained that the idea was to test the new car going the “back way”. He did not specify the details but mentioned that we would stay in a Government of Kenya forestry lodge, close to the dam. Aware by now of his “innovative” ideas, we readily agreed. We left early the next morning, ready for the back road trip, the cold weather and the fishing. The back road was, I believe the Thika Gatura road, probably quite rough even today. To make matters worse we realised that there has been quite heavy rain in the area the night before. However, we decided to go on. From the junction to Karangi the road became quite narrow and soon it was just a narrow path. However, this was the right road, according to the map (and our wishful thinking!). After a few kilometres driving through a slippery but still passable track we met a mud hole of about fifty metres in diametre where clearly a herd of elephants had wallowed probably the night before and their tracks entering and leaving the mud pool and going into the forest could clearly be seen. We stop to evaluate the obstacle and to take a critical decision. Careful scouting revealed that there was no elephant threat but also no way round it. I am not sure why but we (Paul and myself) agreed that we could cross it. My wife, as usually outnumbered, was resigned to her fate! We agreed that all we needed to do was to reverse for a good distance and enter the mud hole fast enough so that our inertia would carry us to the opposite side. We were almost sure that the car would grip sufficiently dry ground to enable us to go through. We reversed for about 150 metres and came rather fast –maybe too fast- so that we went a bit deeper than wished on first contact with the mud but, luckily, the car nose lifted above the mud and the car continued its movement towards the other shore. I believe that there was an element of buoyancy in this manoeuvre that Peugeot was not aware of… Whatever the reason, we crossed, just, and we were able to move on. “Oh, Oh” said Paul, “the speedometer stopped working!” Although this was bad news for a new car, it was not surprising after what we had gone through and, as it was of no relevance for our present situation, it was largely ignored after a couple of brief polite comments. Encouraged by our success we moved on as going back was no longer an option! We continued our advance on the muddy track that was now cutting through thick forest. After a few kilometres we came to a bend and a junction and deep truck ruts appeared. Despite Paul being a good driver, soon the car’s belly was resting on the road and our back wheels could not turn anymore. To make matters more entertaining, it started to drizzle! I hate getting my head wet and I could not find my hat! So getting wet we inspected the situation. It was bad! Jacking it up was not an option as 504s did not have good jacks and the latter, instead of lifting the car, would have become buried in the mud.The only possible solution would be to push the car back, and then again gather speed while my wife and pushed it forward hoping that it would gather enough speed to go through the muddy spot. But first we needed to unstuck the car and push it backwards! That took some doing as we had no shovel, but eventually it moved to the relief of our “wet selves”! Paul -after all he was the owner of the creature- decided to go for it and my wife and I positioned ourselves in a place we calculated some extra push would be needed. Paul came fast and we joined our energies to the car’s to no avail. After a short meeting we concluded that the only chance was for my wife to drive and Paul and I to push. This had a small drawback: she had not driven very often and -in addition- she was not familiar with this particular vehicle. As there was no time for her to learn more and we were properly stuck, we had no choice. We explained the expected move to my wife and positioning the car for her, we placed ourselves to wait for our turn to push the moment she passed by. Before I go on, I have some relevant additional information. I have always had a weight problem and only a few years ago I managed to get on top of it. However, at the time of this safari I was trying to lose weight through the Scarsdale diet. After five days I had lost a couple of kilogrammes but I was feeling a bit weak. That Saturday was day six and the menu recommended the consumption of as much fruit salad as you wished with coffee/Tea/diet Soda/water. Only dinner -if we were ever to have it- would bring some “real” food in the shape of roast turkey or chicken! Kindly -and luckily- my wife had prepared a very large bowl of fruit salad and I tacked into it trying to increase my sugar level for the push. While I added energy to my weakened body, Paul explained my wife again what she needed to do. When the instructions and my refuelling were complete we were ready to go. My wife, following the instructions, started the car and soon engaged second gear coming flat out towards us, clearly barely controlling the car and with a scary look on her face! Luckily, with the wheels well into the furrows there was little to deviate from! When the car started to slow down both Paul and myself pushed as hard as we could and, to our relief, it came unstuck! We had a brief instant of joy before we realized that the car did not stop and continued on its way, leaving us behind! We jumped and gesticulated wildly for my wife to stop until, finally, it stopped when it got lodged in a nearby bush. My wife got out visibly shaken and upset so we refrained from any comments. I collapsed in a mixture of exhaustion and mirth. After a while, Paul -visibly pleased that we were unstuck- inspected his no longer new car for any additional damage while my wife and I sat nearby. She was trying to recover from her nerve-wrecking experience and I was tacking into the fruit salad bowl in search of sustenance! Eventually Paul announced that the car was fine and that we should move on as we were now after lunch and -according to his “GPS-less” calculations we still had a long way in front of us. We moved on but things were still not looking good as we entered a forest concession and there were more ruts and mud ahead. As expected, after a few kilometres of what I would define as “heroic driving” by Paul, the car’s belly started touching the road and eventually it accumulated lots of mud underneath until it became hopelessly stuck, sitting on its belly! This time no amount of fruit salad consumption would have helped, as the situation was really hopeless. We were on a tight spot and the rain continued to soften the red mud! While busy discussing our rather desperate situation, my wife interrupted us and told us to be quiet. “I can hear an engine”, she said. I could not but -as usual- she was correct and after a while we could all hear it. It was a slow revs engine and a long way away. However an engine meant a possible pull and -while waiting for it- we decided to open a Tusker beer to celebrate our luck and wait for the help coming. The old red tractor arrived slowly pulling a trailer loaded with logs and puffing blue smoke. We did not need to say anything to his elderly driver. We were blocking his way anyway! Quietly, he unhooked the trailer and manoeuvred the tractor in front of the car. He then tied a wire to its underside from the three-point linkage and started to pull gently until the car moved. While Paul sat in the car my wife and I jumped on the tractor. The pull lasted for about ten kilometres until we reached a point where the forest estate ended and with it the groovy road. The old man untied us and assured that we should be fine from there to Sasumua. He turned back while we could not thank him enough! We set off gingerly and managed to cover quite a distance through a now more populated area. The rain had been heavier heree so this time we just got stuck in mud. I had finished my fruit salad and did not have any strength left so I went for some solid food knowing that my Scarsdale gain –or rather loss- was going down the drain. Luckily this time there was people nearby and we managed to walk ,still under the rain, to a small village where we explained our predicament. As usual they listened attentively and respectfully and eventually informed us that they had charged Safari rally drivers KShs 1000 to get them out and that this was their fee. We tried to explain that we were not rally drivers but fishermen but we only managed a small discount! We did manage to agree that payment would be the moment we were clear of the obstacle. The push was a formality as all able men from the small village came and we were out and also out of pocket at the same time. By looking back at the mud hole I could not help feeling that we were probably the victims of a mud hole “improved” by the villagers by making it deeper and wider to make an additional income from Safari rally “victims”. I had seen this earlier in Maasailand and I could expect the same or better from the Kikuyu ingenuity to make some extra cash. We eventually got to the high, cold and wet dam at night. We were very cold and soaked wet but we managed to find the forest huts and, luckily there was dry firewood. Soon we had a roaring fire going and we soon warmed up, ate well and had a good early night sleep. Fishing the next day was the usually futile affair but somehow made enjoyable by having survived the earlier day’s ordeal. Luckily the return road was good tarmac and asphalt and only then Simba could demonstrate why it was so famous in Africa at the time! On the positive note for Paul, the speedometer was not working so the car kept being new for quite some time! He eventually land one that was actually close to the Kenya record!